Patricia V. Rivera, founder of Hook PR & Marketing, helps Delaware organizations deliver their messages in print and digital — and in multiple languages. A certified content marketer and brand storyteller, Patricia launched Hook PR & Marketing in Lewes in 2007. She leads a team of creative communicators to develop brand stories, websites and campaigns for a cross-section of Delaware state agencies, nonprofit organizations and private enterprises, including $tand by Me, Delaware Higher Education Office, NCALL Research, Telamon Corporation and Perdue Farms. Hook PR & Marketing also offers translations in Spanish, Haitian Creole, Korean, and other languages. Patricia began her career as a print journalist and worked at The New York Times, The NewsJournal, and The Dallas Morning News. She was also a contributing writer for USA Today, The (Baltimore) Sun, The Washington Post, Delaware Today, and Delaware Beach Life. 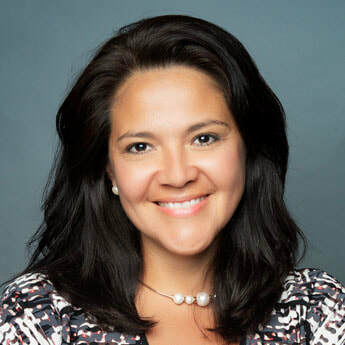 Patricia is board president for La Esperanza, a Georgetown, Delaware, organization that guides immigrants acclimating to life in the United States; board director for the Delaware Alliance for Nonprofit Advancement; and a member of the Delaware Hispanic Commission. A native of La Paz, Bolivia, Patricia lives in Lewes. She received a bachelor’s degree in communications from the University of Tennessee.